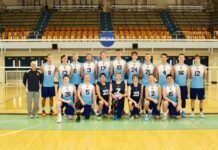 The University of Rhode Island volleyball team will leave its final homestand of the season battle-tested, after falling to first-place University of Dayton in five sets on Friday, and then besting second-place Saint Louis University in a hard-fought victory on senior night. The Rams were undeterred by the presence of a great Dayton team that came in undefeated in conference play and winners of its last 16. The Rams and Flyers traded punches early, in a game that had a playoff feel, with both teams looking sharp. Dayton edged out the opening set 25-23, before the Rams responded by taking the second, 25-22, letting their opponents know they would be in for a long night. The third set marked a change in momentum and a rare showing of vulnerability by the Flyers. The Rams were able to capitalize on some service errors, one that gave Rhody set point, and take advantage of a squad that seemed to decline a bit in intensity. Crisp play and few mistakes allowed URI to take the third set, positioning themselves to slay the A-10 giant. The fourth set also seemed to go the Rams way, but they were unable to hold a 17-15 lead, allowing the Flyers to force a final set. The Flyers carried their momentum into the fifth set, and seeming rejuvenated, rolled over the Rams 15-6. Junior Audrey Castro led the team with 16 kills in defeat. The loss was a heartbreaker and one that head coach Bob Schneck knows was in the Rams’ grasps. Despite the loss, URI pushed Dayton to five sets for the second time, proving to be the only team to pose a threat to the Flyers’ seemingly unbreakable stronghold on conference supremacy. The rest of the A-10 has won only a combined three sets against them. 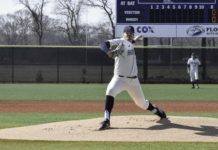 Saturday’s senior night game against the Billikens proved to be just the right medicine for the Rams, who still had a bitter taste in their mouths. They came out as the aggressors early, but St. Louis went on a tear, outscoring Rhody 13-5, and securing the opening set 26-24. 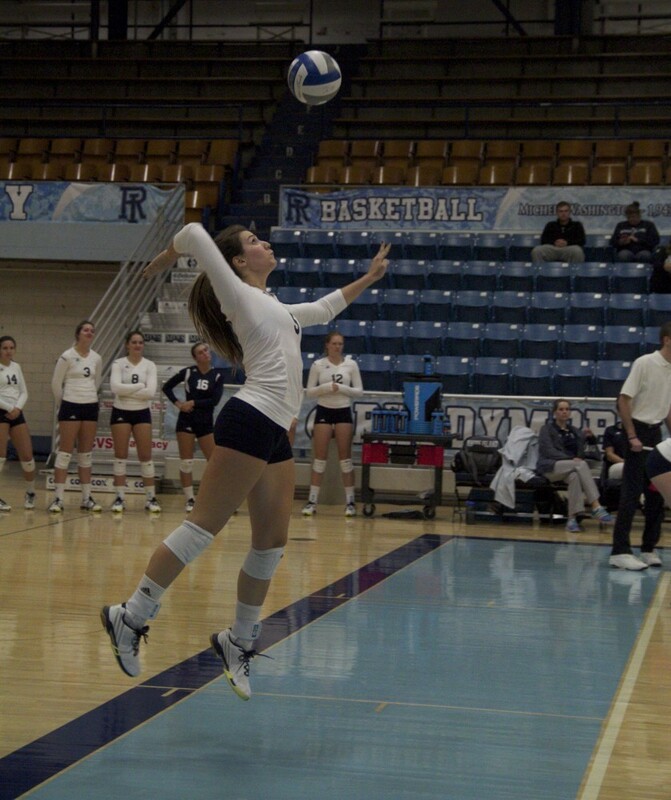 URI found its bearings in the next set as they dominated from the start to win 25-15. 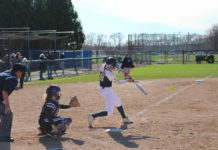 The teams continued to alternate sets until the fifth, where the Rams would this time emerge as the winners 15-8. Rebounding from the crushing defeat just 24 hours earlier showed Schenck that his team is dangerous. The victory, coupled with the emotions charged by senior night, brought great satisfaction for a team that has now proven themselves to be legitimate contenders. The A-10 title would be the perfect going-away present for the graduating trio of Cate Seman, who had 24 digs in the two games, Lizzy Scanlon, who on the night before became just the ninth player in program history to record 1,000 digs in her career, and Franki Darnold, who led the way with 23 kills and 14 digs. With the spotlight on the seniors, junior Callan Kinnan also shined, passing the 1,000-mark in assists for the third straight season, becoming the second URI player to accomplish such a feat. The Rams seem to be at their best just in time for tournament season. Their next game will be a road matchup against Fordham University on Saturday at 5 p.m. Previous articleToo soon for Christmas tunes?